WEC Powder Coating: Now Fully Operational and Looking to Fill Capacity! 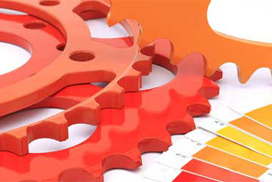 WEC Powder Coating is the newest division of WEC Group Ltd, offering sub-contract powder coating services nationwide. The company has been launched as a way of furthering the group's ambitions of becoming a true one-stop-shop. This is a welcome addition to WEC Laser and the list of other engineering services we provide including fabrication, waterjet cutting, CNC machining and sheet metalwork. The £500,000 investment in the latest technology means we are able to offer a high-end powder coating service to our extensive customer list across a wide range of industries including rail, automotive, nuclear and aerospace to name but a few. Our brand new state-of-the-art machinery allows us to keep on top of industry trends to become a real market leader. The powder coating system boasts two automatic reciprocators with a 90% powder recovery system and a 4 stage in-line pre-treatment plant. The recovery system ensures the process is extremely cost-effective and environmentally friendly. Why choose WEC Powder Coating? Over the past few years we have brought our CNC Machining and waterjet cutting requirements in-house, alongside our laser cutting factory, through acquisitions as well as heavy investments in new machinery and additional manufacturing floorspace. The group also recently bought a six acre site at the Walker Business Park in Blackburn, adding much needed production space for further expansion. The range of colours available is virtually unlimited, and we specialise in the powder coating of mild steel, stainless steel and aluminium. Usually the turn-around time is between 1-2 days. There are many benefits of powder coating. Powder coated surfaces are more resistant to chipping, scratching, fading, and wearing than other finishes, meaning it's extremely durable. The process is also environmentally friendly as virtually no pollutants are released into the air.